A proprietary blend of carefully selected essential oils combined to enhance focus and support healthy thought processes. For those who have difficulty paying attention and staying on task, these essential oils help sustain focus. Apply to the temples and back of neck to enhance concentration. Apply to wrists or back of hands and inhale deeply to promote focus and clarity. 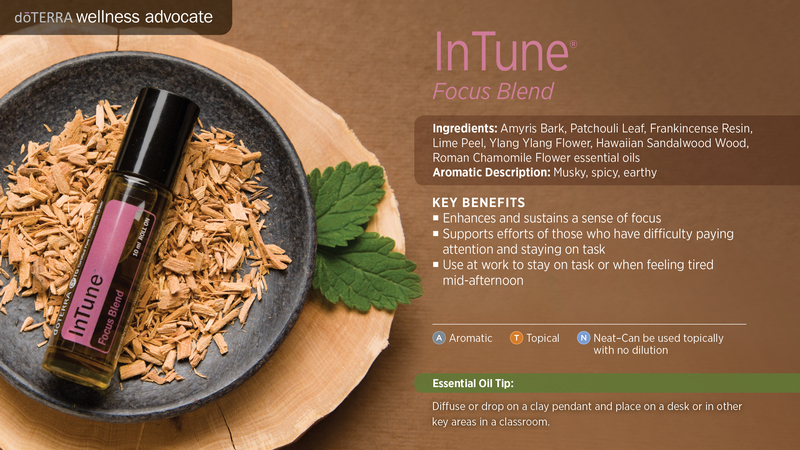 Use Focus Blend at work to stay on task or when feeling tired mid-afternoon. Dispense Focus Blend on a clay pendant and place on a desk or in other key areas in a classroom. Amyris Bark contains a high level of sesquiterpenes and may help promote calmness and relief from stress and tension. Patchouli Leaf has a sedating, calming, and relaxing influence and may be useful in relieving anxiety and depression. It also has a high level of sesquiterpenes. 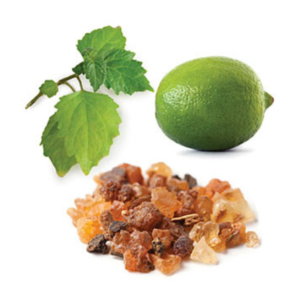 Frankincense Resin has antidepressant and sedating properties. It is often used to help enhance memory, reduce mental fatigue, focus energy, and aid concentration. Lime Peel has a refreshing aroma that is often used to help overcome exhaustion, depression, and listlessness. It may also be beneficial for anxiety. Ylang Ylang Flower has demonstrated sedative properties and is often used to help aid with anxiety and depression. Hawaiian Sandalwood is often used as an aid in focus and meditation. It also has calming and sedative properties.